When you are looking for Subaru auto service and repair experts, look no further than the ASE Master-Certified auto mechanics at Quality Automotive and Smog in Truckee. Our auto mechanics know that your Subaru is confidence in motion. This little SUV with all-wheel-drive caught on very quickly in mountain towns around the world. Truckee and Lake Tahoe drivers enjoy the ability and reliability of these vehicles each winter, but also know that they are great for summer road tripping too. 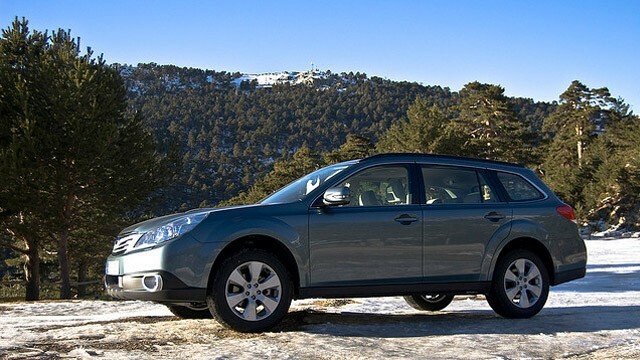 The best service and repair for your Subaru in Truckee is at Quality Automotive and Smog. You have invested wisely in a dependable mountain car, so it only makes sense to care for and protect your investment with top-quality experience auto care. When you choose a Quality Automotive and Smog ASE Master technician to service your vehicle, you want one that has Subaru experience. As one of the most popular cars in town, our specialists see more Subarus than any other vehicle. Mountain vehicles need a little extra care, and the experts at Quality Automotive and Smog know the components and engineering of Subaru. For you, this means efficient diagnostic testing, repairs, brakes, and proper maintenance servicing using only Subaru parts. “They were very helpful. I felt a little dumb not knowing how to open the hood nor change the windshield fluid (frozen after a very cold couple of days). They showed me everything with patience and kindness, checked and changed anything that was necessary and was very reasonable. I am happy to know that Subaru is one of their specialties. I highly recommend them.” -- Judy S.
You will always find a qualified, honest, and friendly auto repair with Quality Automotive and Smog in Truckee. Whether you live in Tahoe City, North Lake Tahoe, Kings Beach, Carnelian Bay, or beyond, we are your home team for all things Subaru auto repair & service. We are loyal to our customers and encourage you to take advantage of our ServicePlus Red Check program that includes an extended warranty, free local towing, seasonal benefits, and a dividend program. We are conveniently located at 11500 Donner Pass Rd, Unit D, Truckee, CA 96161. It’s easy to find us and easy to find a good cup of coffee, food, or a new pair of skis/bike nearby while we work on your car. In the summer, you may consider borrowing our electric bike to tour Donner Lake while you wait. Open Monday - Friday from 8:00 AM - 5:00 PM, and closed from noon to 1 PM. Request your appointment online today!